On the initiative of Prof. Dr. Wolfgang Fritz Volbach, a German museum curator and university professor active in the research of archaeological textiles, a small group of scholars assembled in 1954 in Lyon. Most of them were already acquainted with each other, as they had been corresponding and discussing questions concerning historical textiles for years. 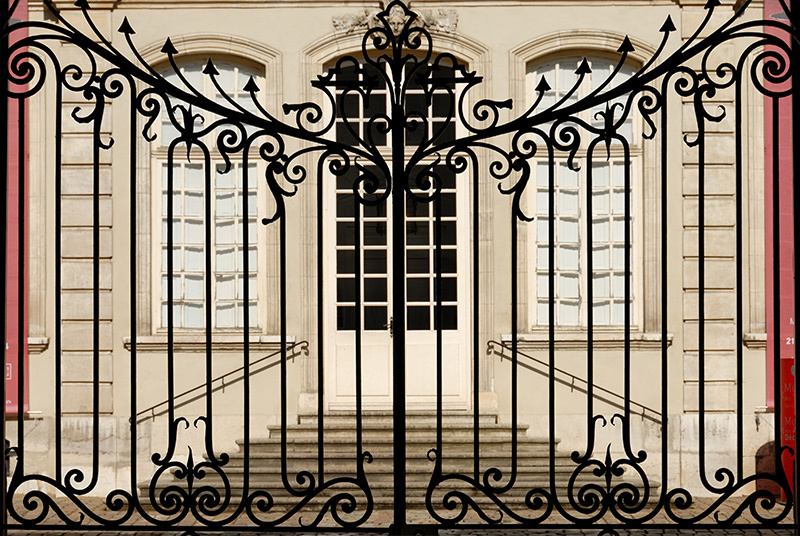 Now they decided to form an association to which they gave the name “Centre International d’Etude des Textiles Anciens”; the Musée Historique des Tissus, as it was then called, seemed the perfect place to host this new association. 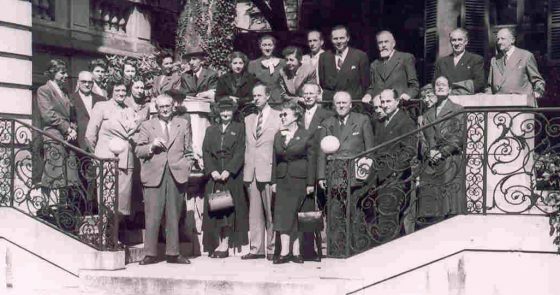 The founding members came from Austria (Dora Heinz), France (Yolande Amic, Jacques Dupont, Félix Guicherd, Robert de Micheaux, Marie-Thérèse and Charles Picard, Monique Toury, Pierre Verlet), Germany (Ernst Kühnel, Sigrid Müller-Christensen, Wolfgang Fritz Volbach), Italy (Gian Piero Bognetti, Tito Broggi), Spain (Felipa Nino y Mas), Switzerland (Alfred Bühler, Verena Trudel), Sweden (Agnes Geijer) and the United States (Claire and René Batigne, Calvin Hathaway, Margaret I. J. Rowe, Edith A. Standen). Working together was no mean feat at this point in history: They had all lived through the Second World War, and between some of their countries, enmity and distrust had prevailed for centuries. But they decided to make a fresh start for their generation, overcome old prejudices and contribute to a better understanding in their field. Their goal was to establish a precisely-defined language in which to describe the technical elements and structures of woven textiles, and to set up a documentation of historical textiles which should be described according to a detailed list of questions. This documentation, a collection of “dossiers de récensement” for individual textiles, is preserved in the musée des tissus in Lyon where researchers can consult it. Developing vocabularies of textile terms with their definitions and their equivalents in different languages took years: The first French and Italian vocabularies were published in 1959, the Spanish followed in 1963, the English in 1964, the Scandinavian in 1967, the German in 1971 and the Portuguese in 1976. Russian and Japanese vocabularies were established even later. But more and more researchers learnt to analyse woven textiles according to the methods developed in Lyon: From 1956 onward Technical Courses were held regularly in Lyon and introduced generations of scholars to the tools, structures and processes of silk weaving. To this day, these courses are at the core of CIETA’s activities. During all these years the Chambre de Commerce et d’Industrie de Lyon, owner of the musée des Tissus and responsible for its financing, supported the CIETA: The museum’s director Robert de Micheaux was the association’s first President (in 1964, he published an account of the first ten years of the association’s development and activities that you can also find in this website). In the beginning, administration was probably not a heavy burden, but the number of members grew fast, to about 200 in the late 1960s and more than 300 in the 1980s. 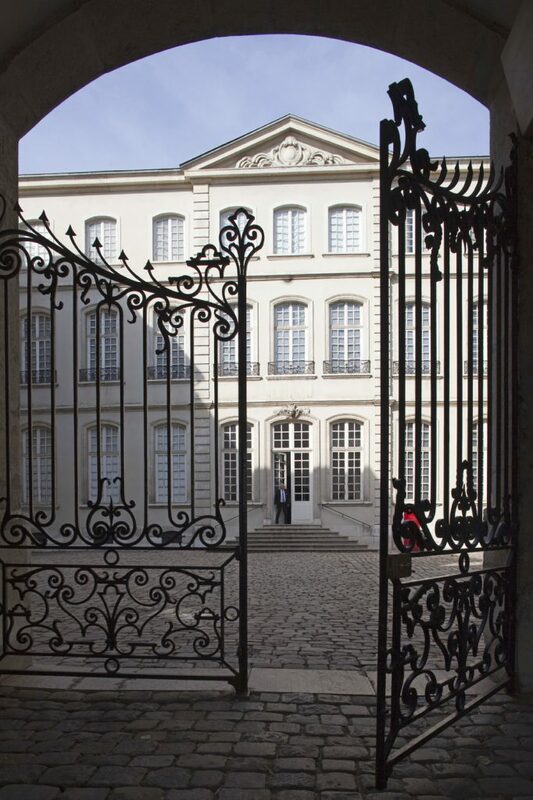 This required considerably more attention to organisation, and the Chambre de Commerce et d’Industrie de Lyon provided for it by agreeing to let members of the museum staff act as General Administrative and Technical Secretaries. In 1977 Donald King, Keeper of the Department of Textiles at the Victoria and Albert Museum in London, succeeded Robert de Micheaux as President of the CIETA. In 1993, Pierre Arizzoli-Clémentel, Director general of the Musée et Domaine du Château de Versailles (and previously director of the Musée des Tissus in Lyon) followed him, and in 2009 Birgitt Borkopp-Restle, Professor in the History of Textile Arts at Bern University (Abegg-Stiftungs-Professur) became the CIETA’s fourth (and first female) President. 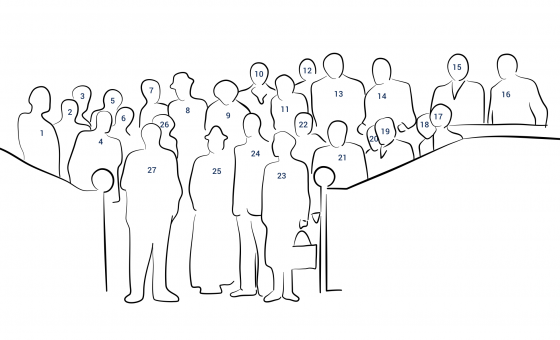 Today, the CIETA has around 450 members, most of them in the European countries and in the United States. They are professionals in the research and preservation of historical textiles, namely museum curators, conservators, university professors and independent scholars. They receive information about exhibitions, new publications, conferences and workshops relating to their field of research through this website and a newsletter. Every other year they meet for their General Assembly, their congress and a programme of excursions. These gatherings, with their discussions, their exchanges and discoveries have been at the heart of the CIETA’s activities since its foundation. The art historian was born in Gentofte, near Copenhagen (Denmark). In the 1930s she studied art history in Munich and graduated in 1934 with a PhD thesis on “Die männliche Kleidung in der süddeutschen Renaissance” (Male dress in Southern Germany during the Renaissance). During the Second World War, artworks were removed from museums and treasuries in many cities and brought to secure places to save them from destruction. In Bamberg (Bavaria) not only were the mantles of King Heinrich II (r. 1002-1024) and his consort Kunigunde moved out of the cathedral’s museum, but the grave of pope Clemens II (d. 1047) was opened and his vestments made safe. Fortunately, all objects remained unharmed by the bombings, albeit in a fragile condition. When the decision was formed after the war to set up a conservation programme for the treasured textiles, Sigrid Müller-Christensen was entrusted with the task. A first step was to travel to Sweden where she acquainted herself with current conservation techniques. Upon her return to Munich, a workshop was established in the Bayerisches Nationalmuseum (then directed by her husband, Dr. Theodor Müller). In 1949, this meant make-shift arrangements and working conditions that required a fair amount of improvisation, but Sigrid Müller-Christensen and her assistants were committed to their work: “Conservation is a test of character” became the team’s motto. In 1955, the Bayerisches Nationalmuseum presented “Sakrale Gewänder des Mittelalters” (Medieval church vestments), an exhibition and a catalogue that attracted great interest, both from historians and art historians and from a larger audience. An impressive array of precious vestments (among them the objects from Bamberg mentioned above, the vestments of St. Ulrich from Augsburg, the eagle chasuble from Bressanone, the Alexander mantle from Ottobeuren and the vestments from Regensburg) testified both to the splendour of medieval textile art and to the skills of the conservation team. Sigrid Müller-Christensen published the results of her studies of the grave vestments of pope Clemens II in a precisely written and carefully illustrated book (Das Grab des Papstes Clemens II. im Dom zu Bamberg, 1960); another important study was dedicated to the textile remains recovered after 1900 from the graves of emperors and bishops in Speyer cathedral (Die Gräber im Königschor, in: Die Kunstdenkmäler in Rheinland-Pfalz, vol. 5, 1972). The impressive list of her publications documents her life-long interest in the textile arts that was not limited to the sumptuous works of the Middle Ages. 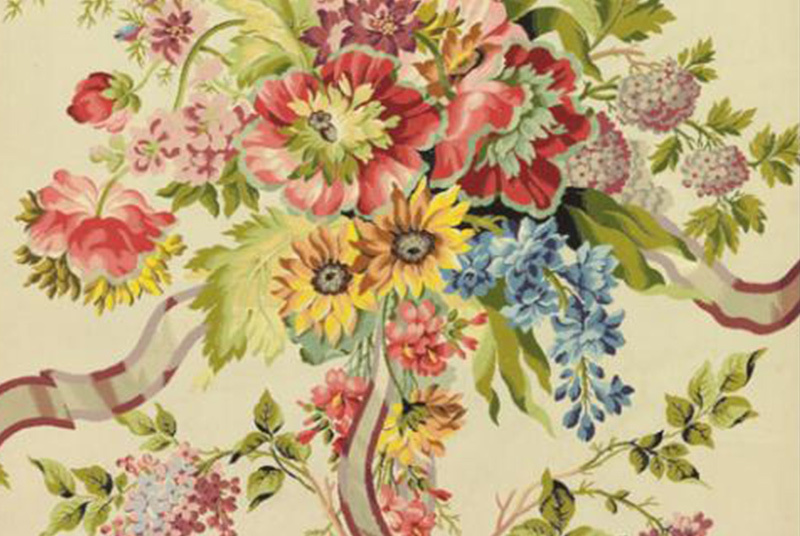 For the German-speaking countries, Sigrid Müller-Christensen was a pioneer in the conservation of historical textiles. Based on scientific analyses and historical research, she established techniques that were subsequently developed in other conservation workshops. A number of younger conservators she had trained went on to set up and direct the workshops of the Germanisches Nationalmuseum (Nuremberg), the Bayerisches Landesamt für Denkmalpflege (Seehof near Bamberg) the Museum für Kunst und Gewerbe (Hamburg), the Deutsches Textilmuseum (Krefeld), and the Abegg-Stiftung (Riggisberg). 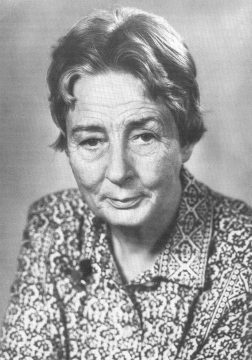 Sigrid Müller-Christensen was a founding member of the CIETA; her extensive correspondence (preserved in the archive of the Bayerisches Nationalmuseum) documents her exchanges over many years with textile researchers in Europe and the United States. Charming, enthusiastic and supportive of her colleagues, she was often asked for advice, both on questions of conservation and on technical and historical aspects of medieval textiles. A Festschrift edited by Mechthild Flury-Lemberg and Karen Stolleis (Documenta textilia, 1981) is a monument to the many friendships she formed in her time. For the many years given to the preservation of Bavaria’s cultural heritage Sigrid Müller-Christensen was awarded the medal “Bene merenti”; she had never held a professional position, but volunteered well into her seventies, when the Bayerisches Nationalmuseum finally established the position of a curator for its textile collections.